Tips and tricks to fix MOTOROLA MOTO Z2 PLAY XT1710 problems. There are two options base by simcard slot, single or dual simcard. The screen size is 5.5 inches with Android Nougat as factory default operating system. To make LCD screen with Full HD resolutions give better color view then MOTOROLA MOTO Z2 PLAY use Super AMOLED for screen type. Users also can choose to have 32 GB internal memory with 3 GB RAM or 64 GB with 4 GB RAM, of course the price for 32 GB version is more cheaper then 64 GB version. This phone also known as MOTOROLA MOTO Z PLAY SECOND GENERATION. 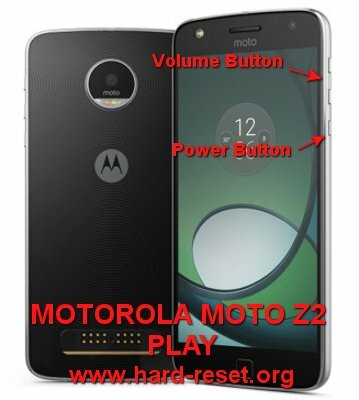 Find more information review and about how to solve MOTOROLA MOTO Z2 PLAY trouble at www.hard-reset.org community. This phone have code MOTOROLA XT1710-01, XT1710-07, XT1710-10, XT1710-08 for several different country. How to Make Battery of MOTOROLA MOTO Z2 PLAY / Z PLAY 2nd GEN Stronger, Life Longer and Not Fast to Drain ? Good smartphone need to have enough battery capacity. As we now that MOTOROLA MOTO Z2 PLAY have 5.5 inches LCD screen, will need to have bigger battery. However, using 3000 mAh as factory default capacity still acceptable for use one day without need to recharge, but some heavy users maybe not enough. What should we do? First we have to do some adjustment if we want to use it for longer time such as watch full movie or playing games for several hours. Please adjust LCD screen brightness as low as possible, because more brightness LCD light, then it will consume more battery power. The information from this page describe about google motorola z2 play Bypass,motorola xt1710 02 factory reset. If you need another resource for hard reset, use search function at this homepage or find from our related posts. How to Easily Master Format MOTOROLA MOTO X with Safety Hard Reset? How to Easily Master Format SAMSUNG GALAXY J3 (2016) with Safety Hard Reset?